I love this cookbook and why not indeed! It is the 100%, complete, Slow Cooking Bible. A recipe bank for every need. Really useful, convenience-food recipes for everyday living. Just come home to wonderful eating. And for the times when you want the very best of real, fresh and healthy ingredients cooked to Classic Recipes - they're here too. 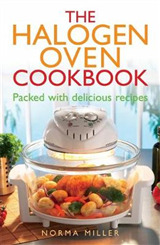 You can Entertain with this book and know that you will be serving your friends original, wonderful tasting food, without doing any cooking yourself. Does life get any easier than this? Here are heavy Winter Soups; Chowders; Chillies; Classic Casseroles for Meat, Poultry, Fish and Vegetables; succulent Pot Roasts; Desserts and Breads too, just in case. This is the biggest, most comprehensive collection of tested recipes for your slow cooker that you can buy today. And it is certainly the most versatile, too. You'll love this book! Recipes include: Salmon Bisque with Dill Pot-roasted Brisket in Beer, Thai Green Chicken and Bean Curry, Mediterranean Chicken with Artichokes, Pork Loin & Cranberry Coulis. 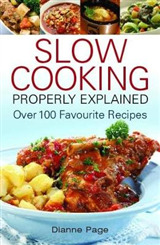 Restaurant Quality Eating at Home This is one of the bestselling titles in the Premier UK Slow Cooker Library. 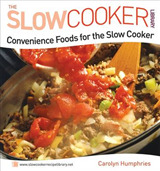 Foulsham, the Publishers of this library, have been researching Slow Cooker Recipes for more than 33 years. 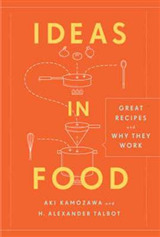 Their research Cooks have tested and published more than 2,500 recipes. The mission statement that drives this research is Recipes that produce Restaurant Quality eating at Home.A" And their work has taken them through every major culinary tradition - American, British, French, Italian, Indian, Mexican, Thai and more! No other publisher has made such a commitment to this lifestyle. 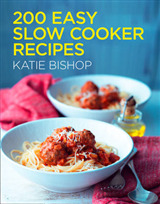 And no other Publisher can match the depth of quality to be found in their Slow Cooker Recipe Library.